1. Please apply online based on students' first choice. Please indicate students' second choice if he/she has any. 2. The acceptance result will be considered upon students' first choice. 3. All the application materials should be provided in English. The acceptance result will be notified via admissions system and text messages. Check the Admissions System for your admissions status. * Fill out the transfer request form if you need the school bus. 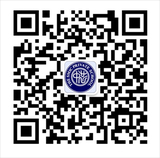 * Follow the instructions here ET New Online Uniform Purchase Procedure to order students uniform according to the size reference and pay via Wechat. * Check ET Uniform Online Purchase Website if you like to order ET uniform.